This no doubt points to Microsoft’s February 24th, 2019 pre-MWC conference, which the company has already confirmed will feature an appearance from Kipman, as well as company CEO Satya Nadella and corporate vice president Julia White. The cryptic teaser doesn’t point to any specific hardware or product names, although it does show what appears to be a processor and some carbon fiber. The latter component is particularly interesting as it goes in line with reports that the next HoloLens will be lighter and more comfortable than its predecessor, which are features that carbon fiber would allow for. The upcoming HoloLens device — reportedly codenamed ‘Sydney’ — is also expected to have an improved field of view. 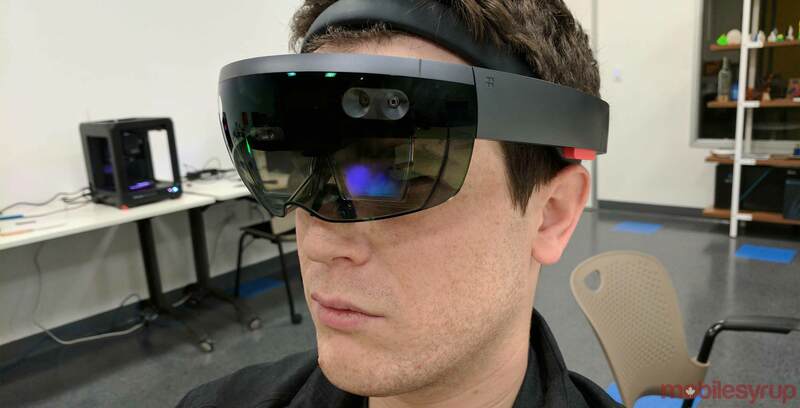 These features may help the HoloLens land a larger commercial audience, given that the current $4,000 CAD model is only intended for developers. In any case, Microsoft will almost certainly reveal more at its conference. It’s worth noting that while Microsoft’s event will take place on Sunday, February 24th, MWC itself will run from the 25th to the 28th. MobileSyrup will be on the ground at the show, so be sure to stay tuned for up-to-date coverage from the event.